(Melissa Gabler) — It’s happening folks! The intensity you feel right now is an evil agenda being de-throned. God has not, and will not take His hand off of this nation! We are a blessed people, and we GET to be a part of His Kingdom invasion. Come. On. Now. “The zeal of the Lord of hosts“ is accomplishing a miraculous transformation in the United States of America. Does it look like what most of us thought a miraculous transformation would? Probably not. Does it matter what we thought it should look like? Absolutely not. 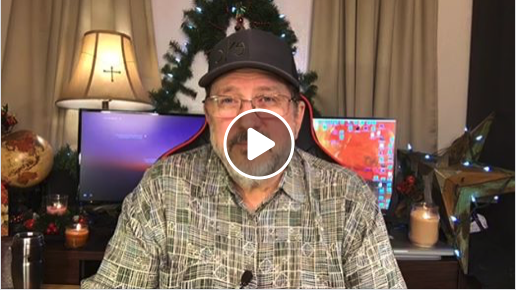 This entry was posted on December 6, 2018 by Marty Gabler. It was filed under Uncategorized and was tagged with 1 Thessalonians 4:17, anticipation, Apostle, Barbara Yoder, Bethel Church, Bible, Bill Johnson, Body of Christ, celebrate, CFNI, charismatic, Chuck Pierce, church, Cindy Jacobs, circumstances, comfort, Daily Discovery, Damon Thompson, destiny, dreams, Dutch Sheets, elderly, encouragement, evil agenda, expectation, faith, father, Five-Fold, FMCI, future, gifts of the Spirit, god speaks, grace, Haggin, happy, healing, Holy Spirit, hope, Identity, intensity, intercession, Isaiah 9:7, Israel, Jentezen Franklin, Jeremiah 29:11, Jesus, Jim Goll, Jim Hodges, John 3:16, John Eckhart, John Kelly, Joseph Prince, Joyce Meyer, Kathy Gabler, Kim Clement, Kingdom of God, Lakewood, Lance Wallnau, life, Lindsey, manifestation, Marty Gabler, Matthew 6:10, Matthew 6:33, Melissa Gabler, Myles Munroe, nation, obstacles, ORU, Osteen, power of god, prayer, problems, prophecy, prophesy, prophet, prophetic, prosperity, purpose, Redding, rejoice, Rick Joyner, Rick Pino, righteousness, salvation, Savior, SEEC Ministries, sons of God, spiritual warfare, success, TD Jakes, Texas, Tony Evans, victorious, victory, visions, Will of God, wisdom, word of god, zeal of the Lord.